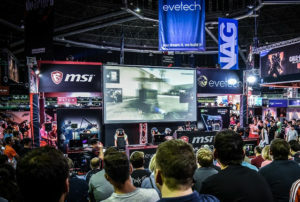 The weekend is here once again and some of South Africa’s tech and lifestyle stores are offering up some pretty interesting deals to taunt gamers’ wallets. 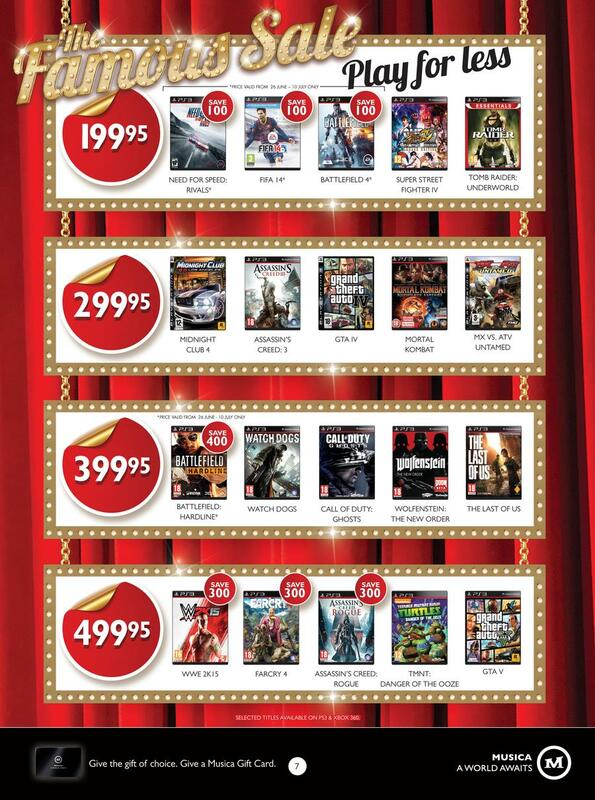 CNA is currently running a special that offers gamers the choice to purchase a PS4 standalone console from the online store (priced at R5,999), which then rewards a R200 discount voucher on any game purchased at the same time. 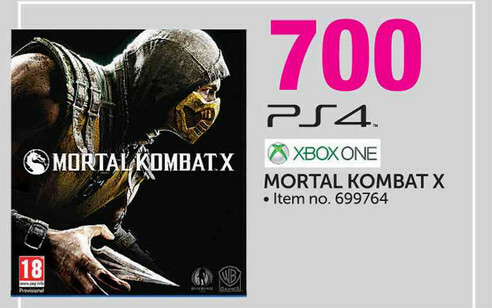 While Mortal Kombat X is still brand-new and ripping heads off on consoles everywhere, Game has cut the price (albeit slightly) on the new fighter, pricing the PS4 and Xbox One versions at R700 each. 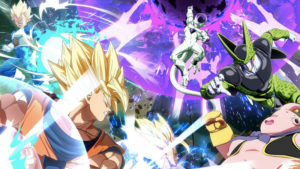 CNA has launched a new promotion that slashes R100 off the price of any new game you pre-order through the CNA online site. 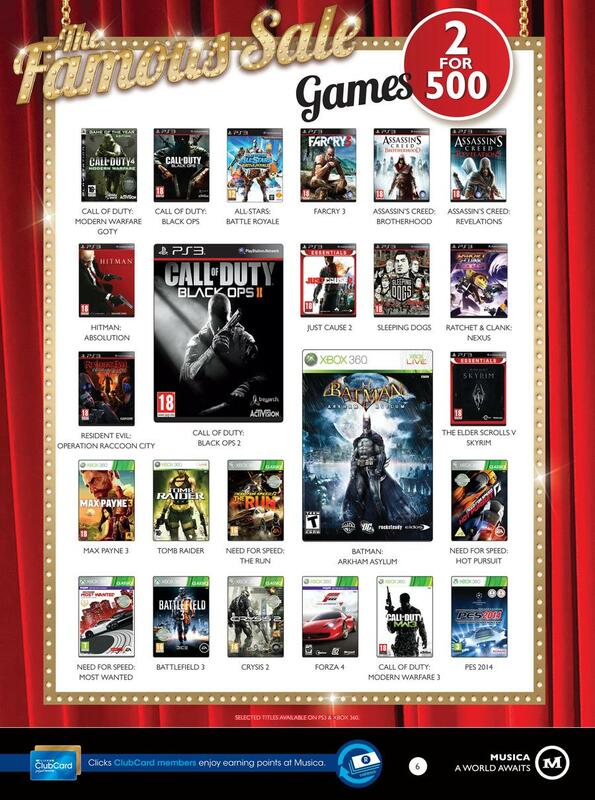 They have all the big upcoming games and some pretty good prices on them too. 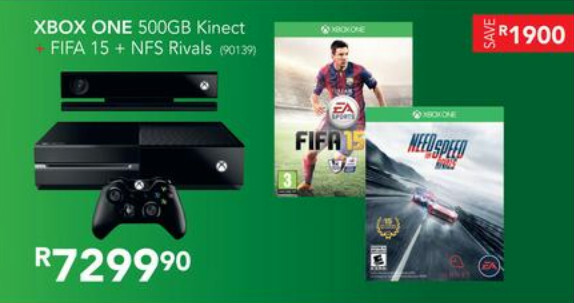 If you’re looking for quite an extensive Xbox One package to get you going, Incredible Connection has a bundle which includes the 500GB console, the new Kinect sensor, one controller and two games (FIFA 15 and Need for Speed Rivals), all for R7,299. The multiplayer bank heist shooter Payday 2 has become a PlayStation Essential thanks to its popularity and sales, and the PS3 version has received a bigger price-cut, pricing it now at R195 from Animeworx. BT Games is continuing its pre-order deal from last week, making its special price on an Xbox One console and The Witcher 3: Wild Hunt available for another weekend. The entire bundle costs R5,999.90. 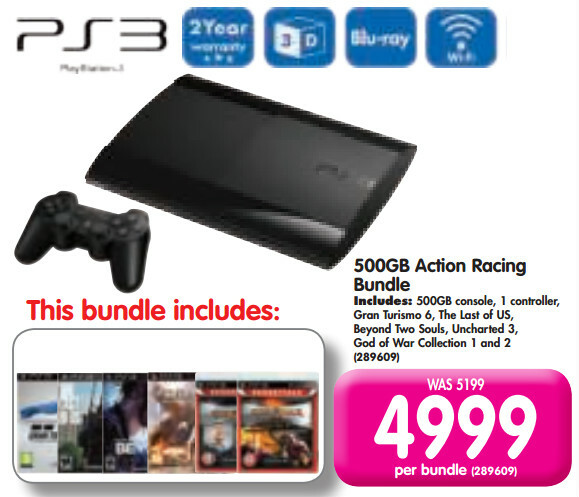 Makro has a large PS3 bundle on special for R4,999. The package includes the 500GB super-slim console, one DualShock 3 controller and 6 games: Gran Turismo 6, The Last of Us, Beyond Two Souls, Uncharted 3, God of War Collection 1 and 2, which features remastered versions of the PS2 and PSP classics. Game 4 U features a pretty alluring price on the standalone PS4, pricing the 500GB console at R5,499. 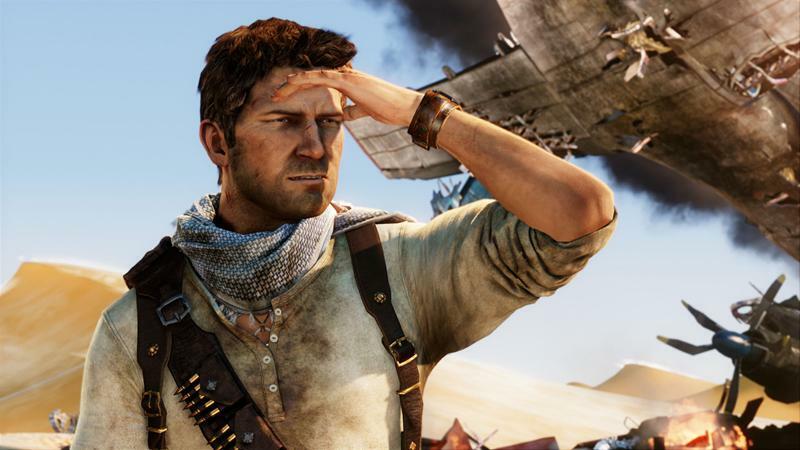 Musica is running a promotion on a bunch of console and PC games. 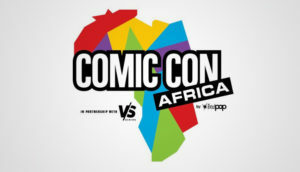 There are three tiers of specials, offering 2 games for R500 (from a selected bunch), as well as some great games, like Battlefield 4, Need for Speed Rivals and Tomb Raider Anniversary for R199.95 each.